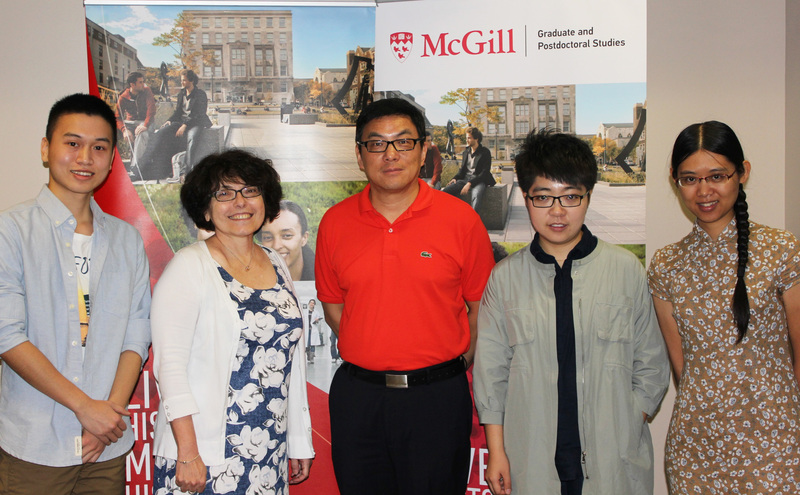 In partnership with McGill University, the China Scholarship Council (CSC) offers scholarships to outstanding Chinese students who will pursue doctoral or postdoctoral studies at McGill. Must receive an unconditional offer admission from McGill. All candidates must satisfy the selection criteria set out by CSC. McGill (department/supervisor), in turn, will cover the annual cost of tuition and fees (exclusive of International Health Insurance). McGill may provide additional financial support, subject to the availability of internal and external funding. Funding is provided for a maximum period of four (4) years. Apply to the McGill doctoral program of your choice. Notify the department or program, and the potential supervisor that you will be applying for (or have already been offered) a CSC scholarship. Receive the department's funding letter and McGill's Offer of Admission*. Apply for a CSC scholarship through your home university following the procedures set by the CSC. *Please note that the funding offered to you by McGill will be contingent on your successful application for a CSC Scholarship. Candidates must meet McGill's normal selection criteria for postdoctoral fellows, including academic performance and English language requirement. McGill will provide all necessary resources and equipment. McGill supervisors may provide additional financial support, subject to the availability of internal and external funding. Approach the McGill faculty, department, program, laboratory, or researcher with whom you wish to work. Obtain a Letter of Agreement. Apply to the CSC for funding. CSC awardees are usually not eligible for postdoctoral registration status; they are required to to register with the institution hosting them as visiting scholars. Please refer to McGill's policies and guidelines on Postdoctoral education, including definition and status, eligibility requirements and registration information. Candidates must apply to CSC by March 20th for funding following the procedures set by CSC. To recommend the applicant for the China Scholarship Council (CSC) Joint Scholarship, you must provide the applicant with a specific letter of recommendation. Please request the most updated template letter from graduatefunding.gps [at] mcgill.ca (GPS). GPS MUST be notified when an applicant is being recommended for the CSC Joint Scholarship. To do so, please copygraduatefunding.gps [at] mcgill.ca ( GPS Fellowships Officer )and your designated Admissions Officer when sending the CSC letter to the applicant. The funds for the department and/or supervisors' finacial commitment can come from any combination of RAships, TAships or awards. Students can be considered for further funding. Ongoing funding will be conditional upon the student’s satisfactory academic progress in the program. McGill funding will also be conditional on the students applying for an External DFW from the Quebec government. Potential CSC applicants to the Faculty of Engineering should be nominated for a MEDA International Leveraged award by their department/school. Please note that McGill will be in contact with CSC representatives to verify that students apply to the China Scholarship Council Scholarships.